With a spacious 4.5-inch display, amazing sound quality and HTC’s latest Sense 5.0 Android interface, the mid-range HTC Desire 600 offers a lot of the features of the HTC One at a slightly more affordable price. It also comes in a dual SIM version of a fairly rare kind - one that supports both your SIM cards simultaneously active. 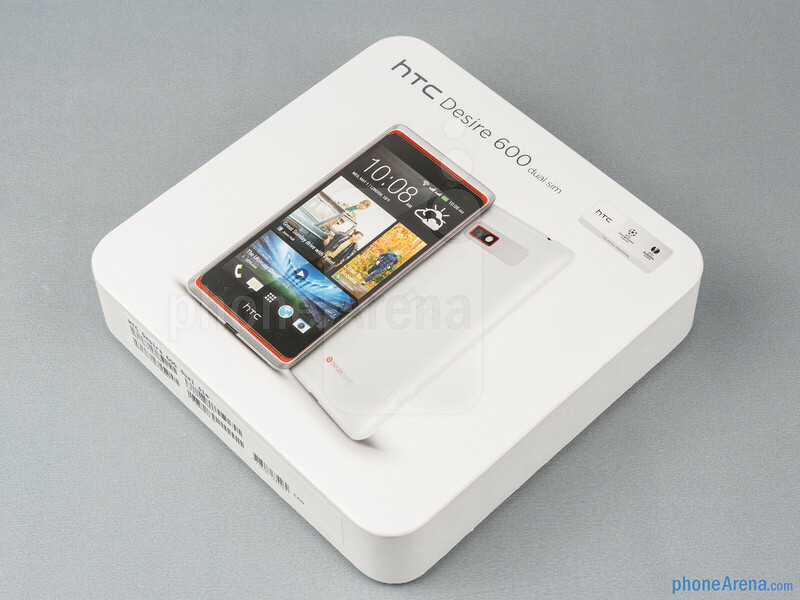 The HTC Desire 600 however is not cheap and it lacks the powerful Snapdragon 600 chip and UltraPixel camera of the One. Sounds like a mixed bag? It is, indeed, a handset of compromise, read on to better understand all its pros and cons, and ultimately decide - is this the handset for you? 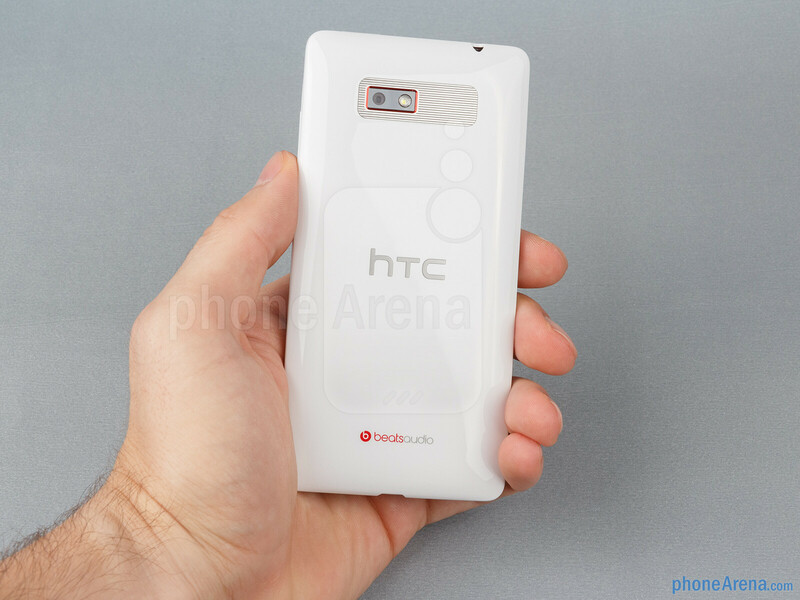 Thin and relatively compact, the Desire 600 nestles comfortably in the palm of your hand. That is mostly because of HTC’s selection of a spacious, but not too large 4.5-inch display, so the overall size of the device feels just right. It’s put together solidly, with no moving or screaking parts and slips in a pocket just as easily as it nestles in the hand. 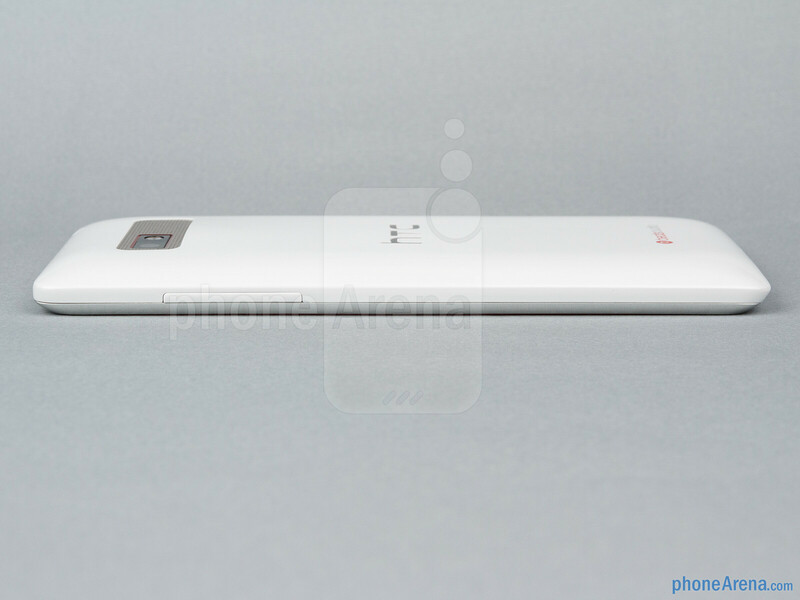 The phone is relatively thin at 9.3mm and light as it weighs just 130 grams. 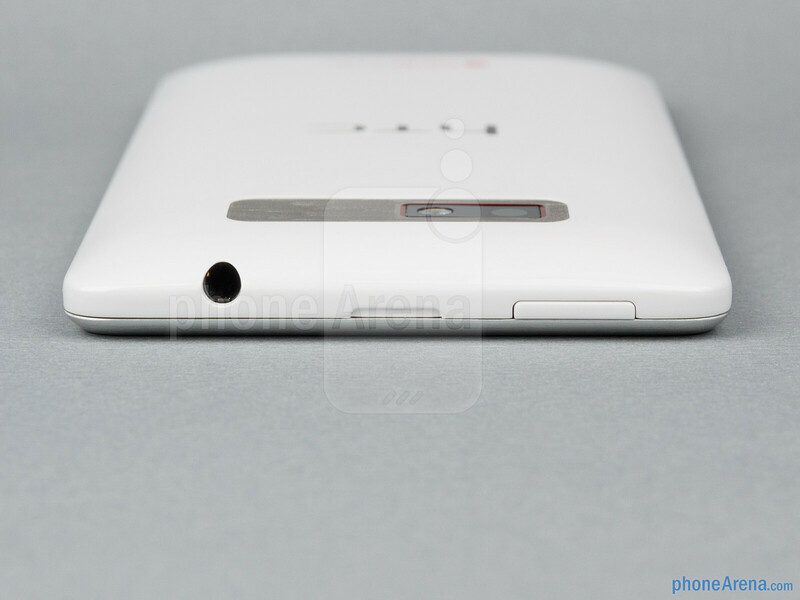 Covered in glossy plastic, the back of the Desire 600 feels a bit cheap and picks up fingerprints and scratches easily. The whole phone is a mixture of elements. 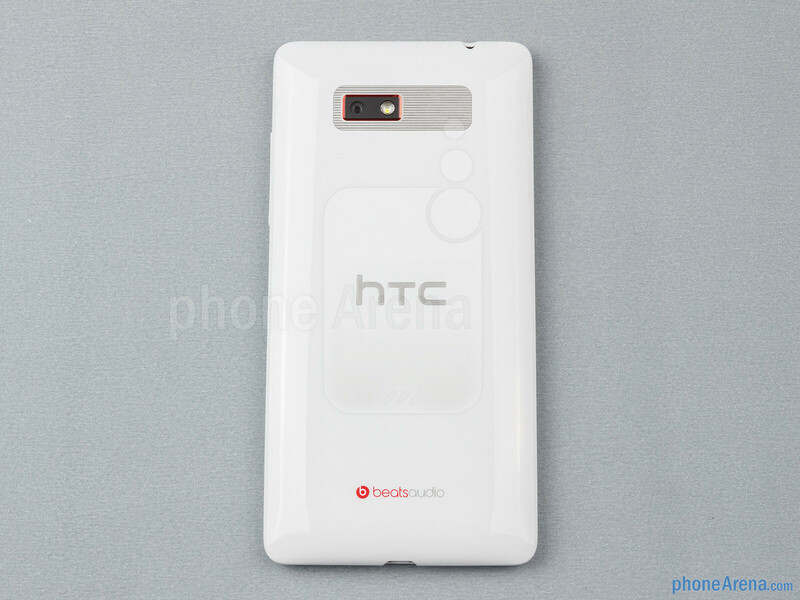 Apart from the plastic back, there is a silver strip of brushed aluminum that encircles the phone and a pair of bright red speakers on the front. If you like a splash of color on your device, you’d like the Desire 600. 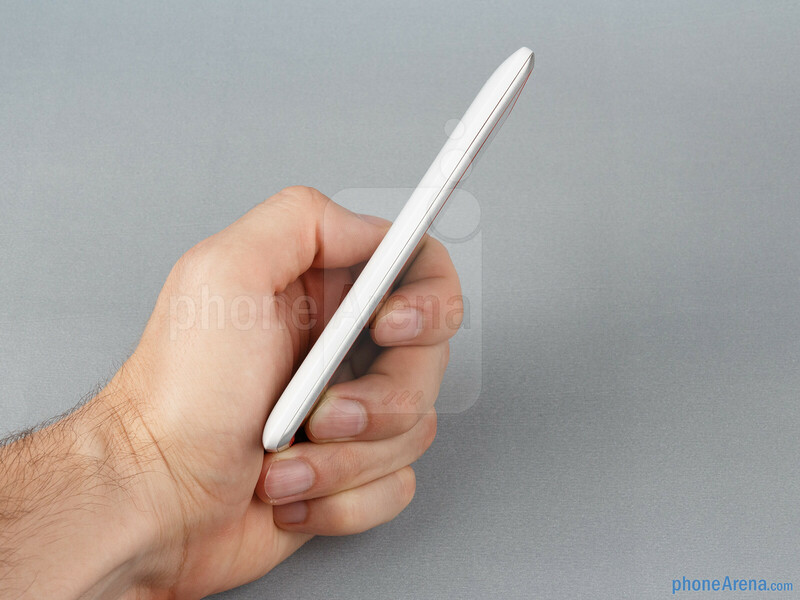 As much as we like its compact size, the phone still is a bit long and having the lock button on top makes it a stretch to reach. The volume rocker is on the right and much easier to access. All physical buttons have nice travel to them. The 4.5-inch display of the Desire 600 is among the better ones out there. It’s a Super LCD 2 panel with a resolution of 540 x 960 pixels with a full RGB sup-pixel arrangement and a pixel density of around 245ppi. Colors on it are vivid and contrasty, it is a pleasure to look at this display. Brightness is very high and this makes it easier to look at that display on a bright sunny day outdoors. If we had to compare it with the screen on the flagship HTC One, we’d say that it is just a bit dimmer, but otherwise has nearly the same great contrast ratio and vivid colors. Viewing angles are excellent and colors don't fade out even if you tilt the device at more extreme angles. Overall, we are pleased with the 4.5” screen – it just feels the right size, has gorgeous vivid colors, and it's bright enough to make outdoor use easy. Great review as usual, it would be 9.999 if this phone has unique 4 SIM card support. Hmm.. I was expecting better. With their current financial problems HTC cannot afford a flawed mid ranger because so many models in this price level are very good. They cannot succeed only with the One, they need an entire strong lineup. Maybe the funky design will sell though. Definitely does! It's about $100 cheaper. Just the better screen and stereo speakers that's not found in the SP. For that price point, i better get the Xperia ZR or Nexus 4...that's how you put a quad core processor in a device. 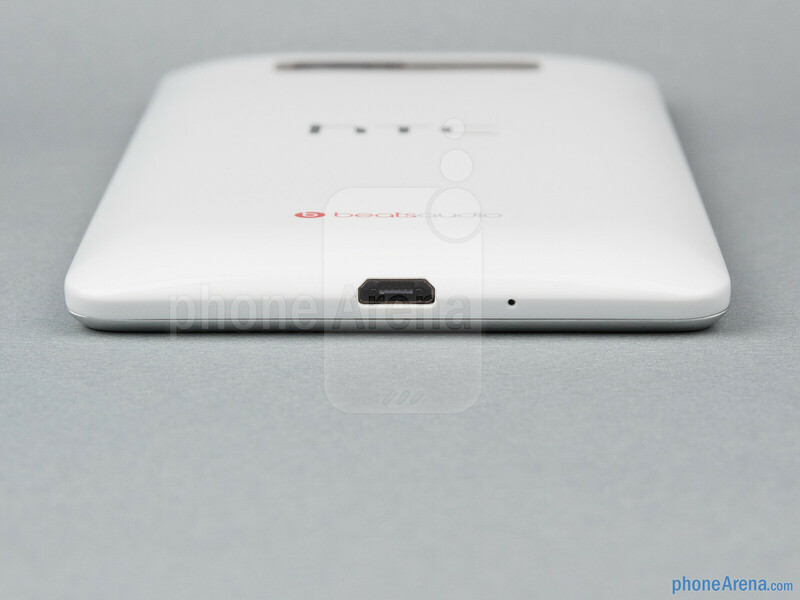 HTC would've made more justice to the phone if it came with dual core S4 pro at 1.5 Ghz. This is just plain stupid... Don't tell me it's aimed for crowds who are looking for a economy phone cause this phone went just the opposite. SP has poor viewing angles but much higher resolution... so not even the screen is not much worse. Even Xperia TX/T/V is way better than this junk. guys which one is better this or one s? I think this one, remember that this has 8GB of internal storage and SD card slot, the one s only has 16GB of internal storage and no SD card slot, desire 600 is quad core, one is dual, desire has much better speakers, they have almost same screens, desire has a better front facing camera and if I am not wrong, desire is just HSDPA on the other hand one s is HSDPA+, so keep all in mind and it is up to you!!! you missed the part where desire is underpowered and slow. It is fast, battery also goes fast. good designe indeed. but the price and internals ruined it. 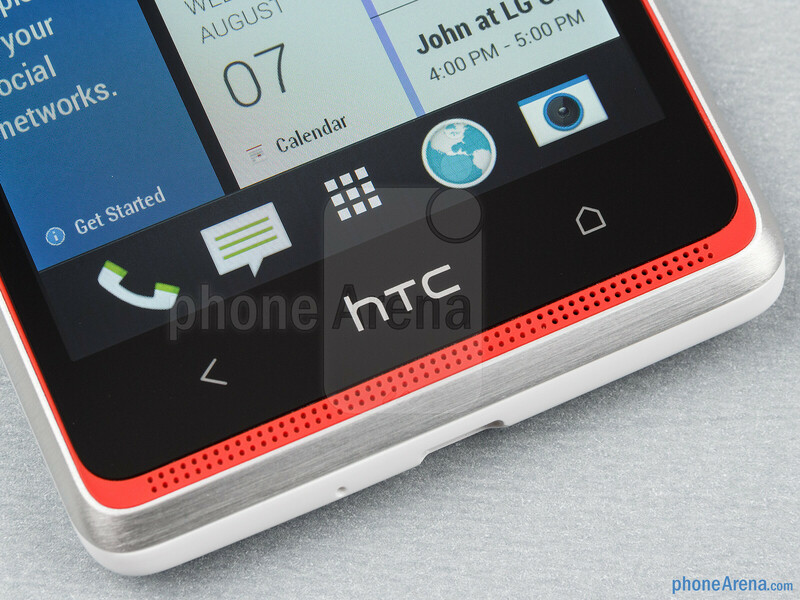 sigh, htc can't just get it right with pricing. asking premium for design but with sh!tty hardware. Wtf, my year old OneXL walks over this pretty easily. Cleaning the closet out HTC? Should throw some of that crap, that won't move in garage sales, out. 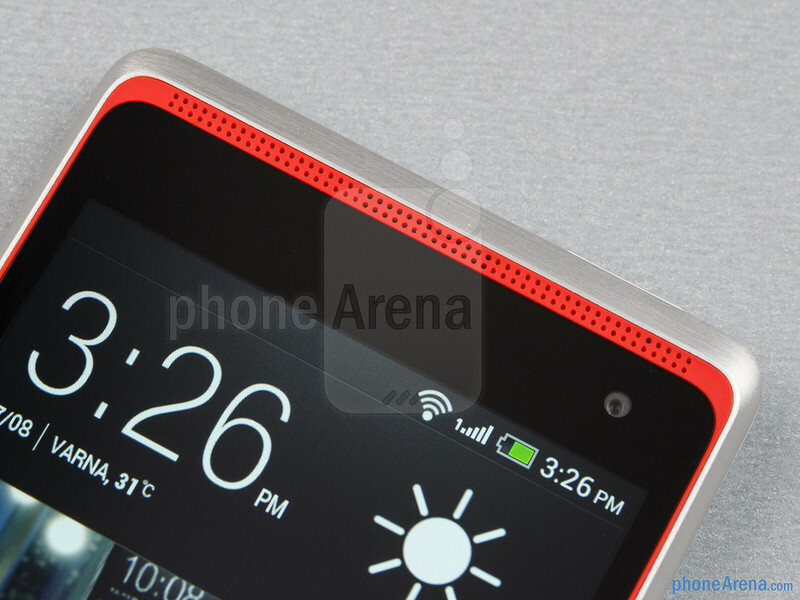 in vietnam Desire 600 cost $410 without contract, too much overpriced product ! mediocre phone but still scores more than xperia zr!!!!!!!!!!!!!!!!!!!!!!!!!!!!!!!!!!!!!!!!!!!!!! So Desire 600 is better than Xperia ZR? WTH... If same phone is given to 2 different PA persons then review would come differently. Because of Overpricing strategy at htc,it forces the consumers to go for samsung. It's time to wake up htc! In 2012,htc lost its battle by overpricing and Poor battery performance in their smartphones. In 2013,htc lost its battle only by selling at Higher Prices in all price Range. Hope,they will learn lesson by their own Mistakes. This Phone is not worth for this price range, There are many drawback in the phone which cannot be filled by external apps from android market.Battery is worst, Sound is average.Apps cannot be installed in SD card, And also there is no file manager in it. Status bar is empty, generally there should be wireless on off, Bluetooth on off, sound profile and mobile data on off should be available, but all this are in widget here, you need to add as widget in home screen. Don't know on what basis the phone is priced as 25K, we can get far better phone in this price.